The chances are you have experienced Artificial Intelligence (AI) in one form or another, but what is it and how does it fit into ecommerce? AI is everywhere from chatbots to recommended product imagery, and searching on Google. If you’re not already on-trend with this, you need to be sooner rather than later to avoid having to play catch-up when consumers start diverting to your competitors. The online marketplace is huge and the only way to compete is to be bang up-to-date. With data comes power, and that’s what it all comes down to today. Using data to work in your favour means collecting and analysing it to use it to your advantage. This can be done much more efficiently and faster with machines and artificial intelligence. Huge developments mean huge relevance for AI in ecommerce, but how effective could this really be for you? Artificial intelligence closes the gap between detecting patterns from large data sets and predicting intent. The long drawn-out role of making product recommendations is reduced, and although this doesn’t take away the need for merchandising, it does lower the amount of human input. Competition is crazy and being smart is the only way to succeed. What if you could collect data for your business, analyse it, and produce intelligence far beyond your current abilities, and far more efficiently than your best current processes? Artificial intelligence incorporates efficiency, accuracy, and speed to gain important information about customers, what they want, what else they may want based on their choices, and what they may want in the near future. Generally speaking, personalisation is at the top of the list for many businesses and rightly so. Personalisation enhances your customers experience and offers you a window of opportunity to win that customer, and build on future customers. The customer journey will be enhanced if personalisation is introduced as early as possible in the journey and implemented throughout their experience. Highly personalised shopping experiences can be achieved with artificial intelligence; usually to target and personalise the products that are displayed as recommendations to a customer. You’re probably familiar with the ‘we thought you might like’ recommendations usually shown at the bottom of a page. And the fact that the products do tend to catch your eye isn’t just a coincidence. Visual searching helps to identify things such as the colour, brand, and size the customer requires: with the intention of eventually directing them towards a product or service they will buy. What is AI and what does this mean for you? Your business needs to be in the game. ”By 2020, customers will manage 85% of their relationship with the enterprise without interacting with a human. Have you ever been in the situation where you’ve seen something you REALLY want to buy, but you can’t remember what it’s called? Well, gone are the days where text search is the only option. 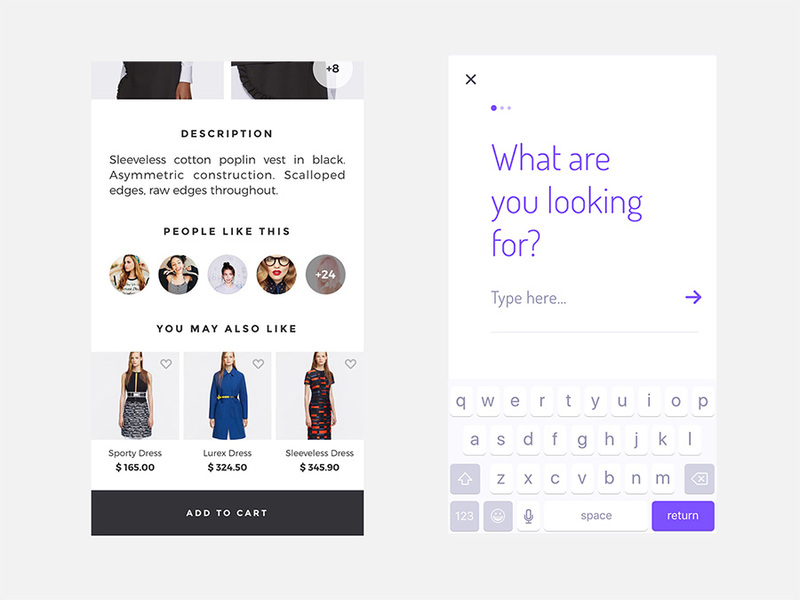 Visual search means consumers are now able to submit a photo to search for products. AI analyses the image submitted finding similar products to match a colour, style, or pattern. This offers an amazing addition of convenience to your customer’s journey and not to mention it’s quite exciting. All new things take a little time to get used to. 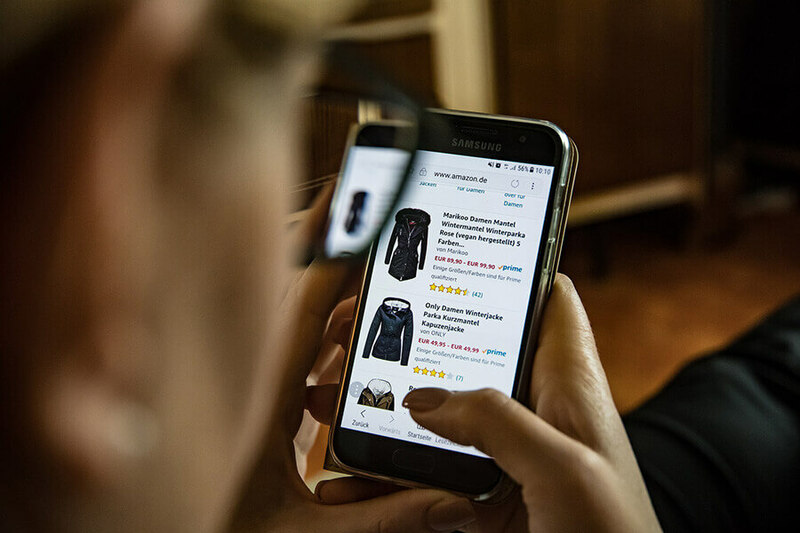 Voice search makes online shopping ridiculously convenient with the ability to search for products or services using your voice. AI assists in voice recognition. You’ve probably at least heard of Siri and Alexa for example. These are voice assistants. Voice search technology integrated in products such as Amazon’s Echo means that your customers can now make purchases online using their voice. Did you know that when you click that ‘chat now’ box, you could actually be conversing with a bot? These bots are developed to help and answer questions, and at times it’s hard to identify any difference. Developments in technology mean bots are getting more intelligent, personal, and overall, humanised. For your business – this means you can support your customers 24 hours a day, collect data, track the behaviour of your visitors, and increase conversions with zero extra effort. Artificial intelligence has allowed for huge changes in ecommerce. The online shopping experience has already been transformed and really does open doors for fantastic future shopping experiences. It’s proven effective in ecommerce to make things faster for business; no doubt this will continue to improve. The opportunities from artificial intelligence are extremely exciting. AI can help you categorise opinions and reviews sorting them into positive, negative, and neutral. This allows you to focus and target problem areas and gain a valuable insight into the customer experience giving you a much higher chance of meeting customer expectations. Engaging with your customers has a high impact on retaining them not only at the first point of call, but after their experience too. Every single aspect of your customer’s experience matters more than ever, from the description of a product to customer reviews. 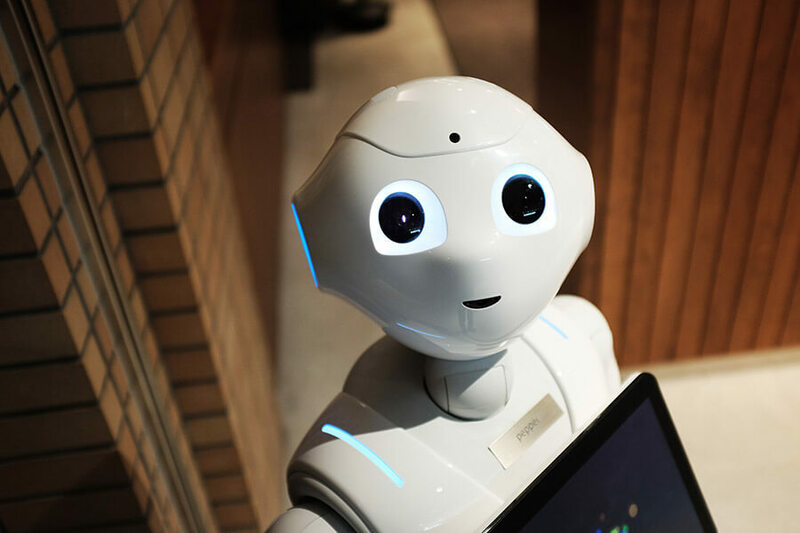 Keeping up with the exciting future of artificial intelligence isn’t an opportunity to miss out on if you want to keep ahead of your competitors and keep your customers. You can search online and find numerous articles predicting how artificial intelligence will dominate the market place, but how? Artificial intelligence is being utilised by social media platforms, shopping, and various other sites that will continue to keep up with the changes. AI will help you improve your business by quickly and effortlessly accommodating the needs and interests of your potential customers. Show your customers what they want. Intrigue, catch their attention, and increase conversions. At the same time, you save time to focus on what’s important to you.